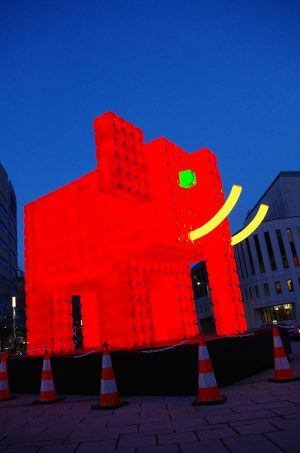 ELEPHANT ROUGE is an art installation in public urban space designed specifically by Bibi for the Fête des Lumières in Lyon. 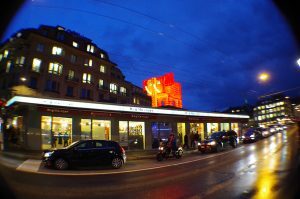 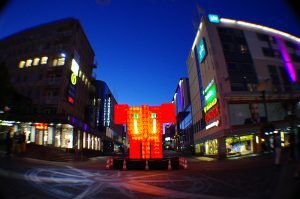 The walker will immediately recognize the components of this giant totem: indeed, the light object is composed of 800 recycled polyethylene containers. 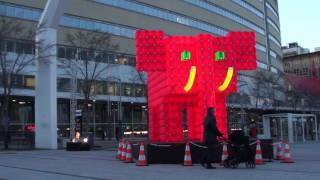 5 meters high, the thermoplastic Babar is a new visual hallucination. 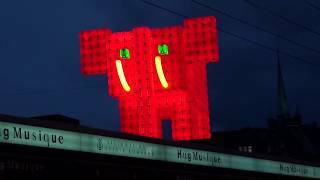 Yesterday, the world dreamed of pink elephants, nowadays they are red. 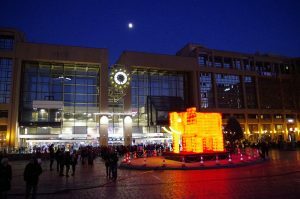 Its green eyes invite the audience to come and visit it in its new habitat: the big zoo otherwise known as the city. 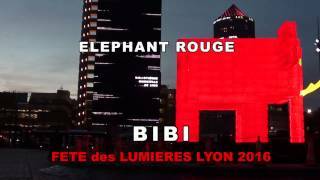 Loyal to the concept that BIBI has developed since 1991, ELEPHANT ROUGE illustrates this blend of everyday plastic objects and light. 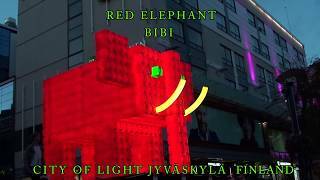 Appropriation and modern urban myth, ELEPHANT ROUGE is a new addition to the luminous and contemporary bestiary to which the Fish Fountain and the Dragon King already belong. 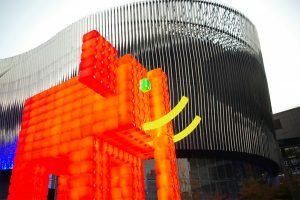 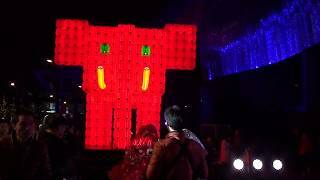 ELEPHANT ROUGE is a light object, a visual art installation and a toy sculpture.